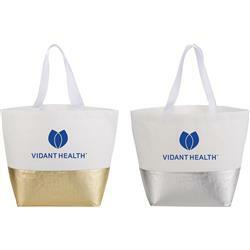 Trendy metallic tote perfect for conference gifts, retreat gift bags or boutique custom bags. 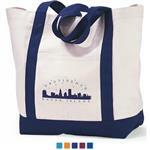 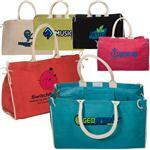 It is a large laminated non-woven tote with a big open main compartment. 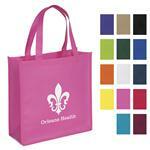 Features webbed carry handles for easy carrying.